Do you want to create exciting outdoor experiences for children? 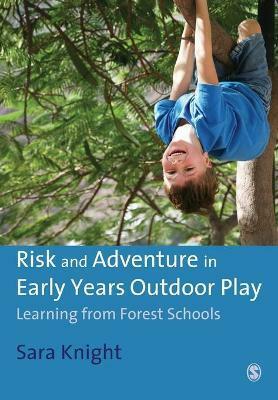 Are you looking for guidance on how to incorporate the wilder and riskier elements of outdoor play into your planning? This book will give you the confidence to offer the children in your setting adventurous and challenging outdoor activities, as well as ways to utilize natural resources to their best advantage. There is clear, practical advice on what you need to do, which is underpinned by the theory that supports the benefits of this approach. Examples from settings are included, to illustrate best practice and to show how things can be achieved.